After his unsuccessful mayoral bid in 2013, aldermanic president Lewis Reed rebounded in 2014 when he backed several winning candidates for city offices. He's expected to win a third term as aldermanic president. St. Louis Board of Aldermen President Lewis Reed was expecting a competitive 2015 re-election bid – at least that’s what he thought at the end of 2013. Reed had lost just lost decisively to St. Louis Mayor Francis Slay in a hard-fought Democratic primary for mayor. Running against an incumbent chief executive isn’t the greatest way to make friends, and Reed himself expected that his bid for a third term wouldn’t be that easy. To put it mildly, Reed’s prediction was way off. Despite rumblings that he would face a challenge from a colleague on the Board of Aldermen, Reed is getting something close to a free ride to re-election. He’s heavily favored to win the March 3 Democratic primary over Jimmie Matthews, a perennial candidate and one-time alderman. Barring a titanic shift in the heavily Democratic city, he’ll almost certainly win the April 7 general election over Republican Erik Shelquist and Green Party nominee Jeffrey Schaefer. In his next term, Reed says he’s focused on instituting a civilian review board for the St. Louis Police Department and getting a bonding package before the voters. 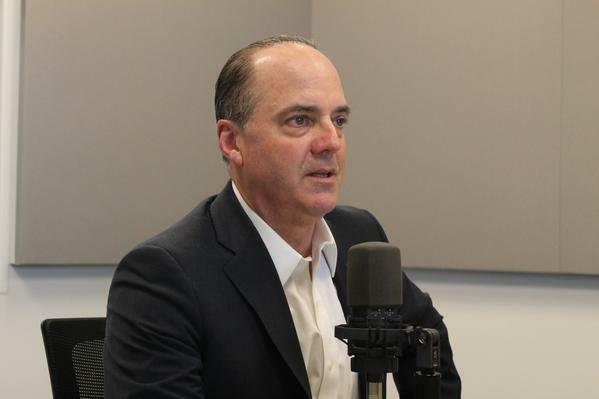 A native of Joliet, Ill., Reed burst on the St. Louis political scene in the late 1990s when he was elected 6th Ward’s alderman. He pulled off an upset of sorts in 2007 when he defeated then-Board of Aldermen President Jim Shrewsbury – and in the process became the first African American to hold that position. After cruising to re-election in 2011, Reed challenged Slay in the 2013 mayoral primary. While the race wasn’t as nasty as, say, the Democratic primary for St. Louis County executive, losing an election was not an experience that Reed particularly enjoyed. Reed had a much more politically fruitful 2014. Some of his endorsed candidates – including Alderwoman Megan Green, D-15th Ward; License Collector Mavis Thompson; and Recorder of Deeds Sharon Q. Carpenter – won contested races. And while Slay publicly backed a transportation sales tax increase, Reed opposed the losing proposal. Reed appeared to be on a collision course with Alderwoman Jennifer Florida, a 15th Ward Democrat who had announced a bid for his job. But Florida was appointed recorder of deeds, lost her bid for a full term and didn’t file against Reed. Another possible contender – Alderman Shane Cohn, D-25th Ward – also didn’t file against Reed. That caught Reed a bit off guard. Relations between St. Louis Mayor Francis Slay and Reed have improved a bit since they ran against each other in 2013. When asked if he would pursue a re-match with Slay in 2017, Reed laughed and said: "It's important for me to get through this campaign." "We have a lot of work to do in these next couple of years in working with residents all across the city," Reed said. Unlike, say, Missouri’s speaker of the House, Reed doesn’t necessarily have a lot of power to pass everything he wants. That’s because some aldermen are more aligned with Slay – although those factions can shift depending on the issue. Most observers agree that Reed doesn't have a majority of the Board of Aldermen aligned with him. That means he's sometimes at the losing end of some big-ticket issues -- or he ends up supporting initiatives from Slay or other aldermen. The top item on Reed's agenda may be a civilian review board for the St. Louis Police Department, an effort that’s been in the works for years. He also wants to help bridge divisions between police and residents, an especially pressing issue in the wake of police shootings throughout the region. To do that, he says there needs to be “lines of communication” between competing groups and “equity and fairness” in the allocation of resources. Reed also wants to help facilitate a new MetroLink line to run north and south. That type of project will cost hundreds of millions of dollars and require coordination with St. Louis County and the federal government. The future of the Rams could be a big issue during Reed's third term. “We would have to have a study and see how all of that would fare out,” he added. Later this week, Reed’s interview will be included in a special edition of the Politically Speaking podcast looking at the city’s municipal elections. 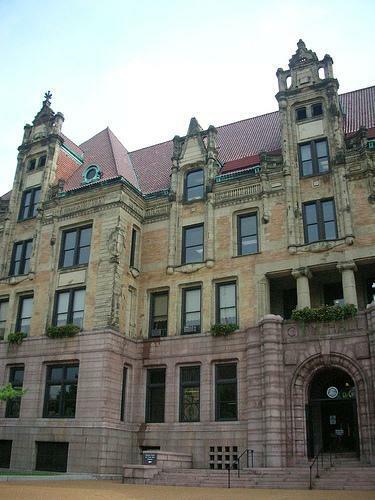 The St. Louis Board of Aldermen declined to pass a bill Friday that would have put a property tax increase before the voters. As a result, it is unlikely the proposal will make it to the voters on the April ballot. The $200 million bond proposal would pay for building and road repairs, as well as vehicle and equipment upgrades for fire and police departments. Jeff Rainford, St. Louis’ longest-serving chief of staff who has defended and helped shape St. Louis Mayor Francis Slay’s agenda for nearly 15 years, is leaving City Hall.